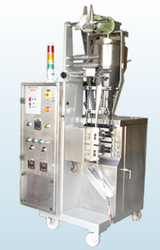 Semi Automatic Liquid Filling Machine is versatile , single module machine for liquid and semi liquid material. 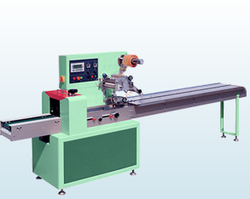 Machine. 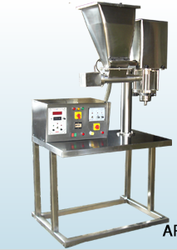 Filling is based on the volume of the liquid pulled by stainless steel syringes moving in cyclical motion. 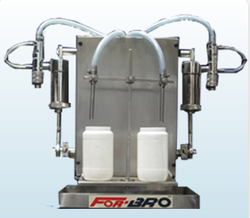 Easy adjustment for Batch variations of liquid help achieve higher accuracy. 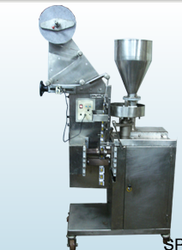 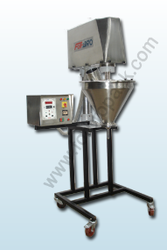 For-Bro Sachet packing machines offers complete packaing solutions for filling non free flowing powders in small size unit packs. 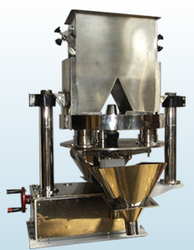 Time tested , versatile Auger based powder dozing unit discharges pre-set quantities of powders in to the pillow pouches formed from the virgin/laminated heat sealable material. 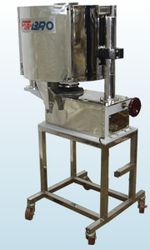 modular construction and ease of change of component makes machine suitable for wide range of product and pack-sizes. 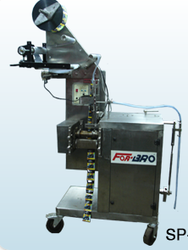 Photo sensor and auto correcting unit helps in precise seal positioning on the pouch which can be provided as 3 side, 4 side or centre sealing as per the requirement.